MOSCOW, December 5. /TASS/. 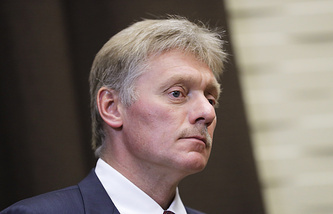 The Kremlin has nothing to do with the idea of deploying Russian missiles in Latin America, particularly in Venezuela, Russian President Vladimir Putin’s Spokesman Dmitry Peskov told reporters. "We have nothing to do with this idea," he stressed. Several experts previously said that the deployment of such missiles in Latin American countries is possible if the Intermediate-Range Nuclear Forces Treaty (INF Treaty) is not preserved. On Tuesday, top NATO diplomats urged Russia to urgently return to full and verifiable compliance with the Intermediate-Range Nuclear Forces Treaty (INF Treaty), pointing out that now the ball is in Moscow’s court to preserve the deal.